The FDIC has set forth guidelines for banks to follow before choosing to walk away from a foreclosure process after it has already begun. Under the guidance of the Federal Deposit Insurance Corporation (FDIC), banks are now strongly urged to follow specific guidelines when it comes to handling foreclosures, as well as what should be considered prior to abandoning foreclosures after they've already started. The foreclosure process itself is a rather unpleasant one for both defaulted homeowners and the banks that are left to deal with them. Yet the situation can become even more unpalatable when foreclosed properties are abandoned, which opens the door for trashing and vandalizing these homes. In turn, such activity can have a negative impact on the surrounding community. Every year, all across the U.S., foreclosed properties are left abandoned and empty, leaving these properties for cities to deal with. As such, the FDIC has issued clarification of what it expects when banks choose to discontinue foreclosure proceedings, also commonly referred to as "abandoned" foreclosures or "bank walkaways." In its letter, the FDIC cites that when banks put a halt on the foreclosure process once it has already begun, borrowers may have already stopped maintaining the property, a situation that often invites petty crime in the form of blight and accumulation of trash. In an effort to ensure surrounding neighborhoods are not adversely affected by such instances, the FDIC is encouraging financial institutions to avoid foreclosures wherever possible and instead, work effectively with borrowers to come up with workable arrangements that would help financially-strapped borrowers keep their homes. Should such arrangements not be possible, the letter emphasizes the crucial need for banks to establish policies and adopt sound lending standards for acquiring real estate assets that would ease the effect that a foreclosure process may have on the property values of surrounding homes in the area. The reason why a bank would start a foreclosure process then stop at some point after it has started is obvious. Very low property values typically mean little to no profit for banks by foreclosing. There is simply no financial or legal motivation to continue with them. Instead, walking away from a low-value property is much more affordable than rehabbing it, bringing it up to code, taking care of it, then listing it back on the market. In many cases, the lending institution also opts not to pay its taxes, leading to a tax foreclosure three years later, at which point the home is deteriorating further. Banks believe that some homes are simply not worth the costs of going through the process and then selling. The longer a property sits empty, the more its value plummets. Yet the effects of banks walking away from foreclosures can be dire. Foreclosed homes that have been left empty can reduce the value of the neighborhood left behind and negatively impact all those who still live in it. Vacant homes are a natural attraction to crime. Not only that, homes that have not been maintained can become a hazard to those around it, particularly children. The ramifications can also be felt on a larger scale. 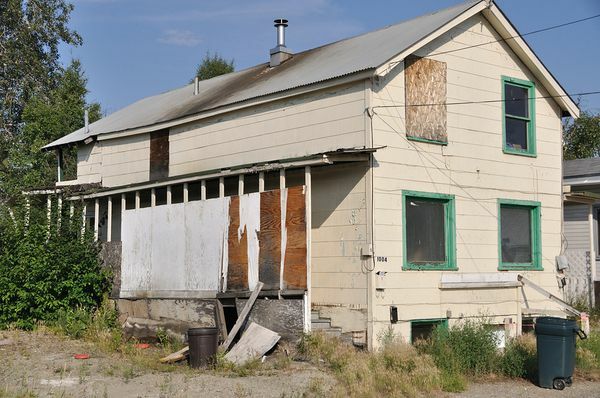 The cities that these foreclosed and abandoned homes are located in are often left with a huge cost in the millions of dollars in terms of unpaid property taxes and utility bills, maintenance, and demolition. The longer the home sits vacant, the more it will continue to cost the city. The situation can be a significant issue for local governments and has even caused legal and ethical debates regarding who is financially responsible for the real estate market fallout; namely, taxpayers versus the banks who were instrumental in the underwriting process of mortgages that have ended up underwater. According to the FDIC's letter, financial institutions that begin the foreclosure process should only decide to stop it based on a few financial considerations; specifically, banks should calculate the cost to foreclose, rehabilitate, then sell a property compared to its current market value. Make use of the most up-to-date market value information on the subject property and use relevant valuation information before deciding to start, continue, or discontinue the foreclosure process. Carry out specific requirements to determine when a lien should be lifted as a result of consequences that could be faced due to abandoning the foreclosure process. Inform appropriate government authorities of the decision to walk away from the foreclosure process. Comply with all relevant state and local laws when making this decision. Inform the borrower(s) of the following: Foreclosure will no longer be pursued; The mortgage holder has or has not lifted the lien; The borrower is responsible for paying off the remaining mortgage, as well as applicable property taxes, insurance, and HOA dues; The borrower is still obligated to maintain the property; The borrower has the right to remain in the property until it is sold or until title is transferred. Use due diligence to get in touch with the borrower to provide adequate notice as described above, especially if the property has been vacated after the foreclosure process started. As per the FDIC's supervisory activities, examiners will go over banks' investigations and reasoning for starting, pursuing, and halting foreclosure proceedings. Banks will also be scrutinized for lifting liens, as will their management reports that document these practices. Examiners will also analyze how well financial institutions follow through with contacting the borrower with the necessary information and how they deal with complaint processes to deal with issues regarding abandoned foreclosures. Abandoned foreclosures can bring down the value of the surrounding neighborhood when left vacant and vulnerable to vandalism. Across the country, lenders and loan providers are often the main targets of initiatives by local governments in terms of the enactment of abandoned property laws, the setting up of land trusts, and the implementation of programs to list abandoned homes. Trying to market and sell an abandoned property can prove to be difficult as economic conditions change, property values fluctuate, or the property condition drastically declines. As such, lenders may postpone a foreclosure sale indefinitely. Addressing a home loan default is obviously necessary, but perhaps foregoing foreclosure is not the best alternative in an effort to avoid the cost of maintenance. When banks choose not to foreclose, they can still choose to sue to obtain a money judgment for amounts that are past due while temporarily foregoing equity from the foreclosure. The bank can hold onto its mortgage lien and recoup all or some of the amount due should a junior lienholder try to foreclose. If foreclosure is decided upon, the property in question should be inspected and appraised to determine if an abandoned property lacks value. If the homeowner or the local government tries to force a sheriff’s sale, the bank might want to consider satisfying the home loan and releasing its mortgage lien. There is, of course, the option to demolish the deteriorating home to make room for new development that will help revive the neighborhood and help maintain surrounding property values. Or else, banks may want to consider donating foreclosed homes to the nonprofits that will take care of rehabbing or demolishing the properties themselves. When carried out in cooperation with the local government, unpaid property taxes can be waived and any code violation fines can be eliminated to encourage sales. Banks may even be able to take advantage of tax benefits by donating abandoned foreclosures to nonprofits. Banks are not in the business of assuming a large proportion of delinquent loans only to have to sell them off in a haste in order to remain profitable. 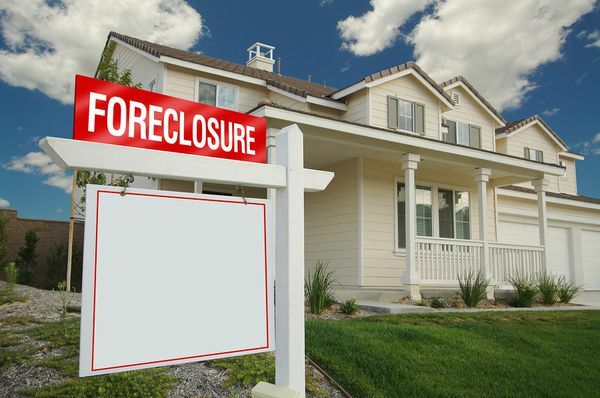 Foreclosures can be financially draining for financial institutions if not handled properly, especially as they become increasingly complex and riddled with complications. In an effort to reduce the likelihood of assuming foreclosures only to abandon them halfway through, it would be much more fruitful for banks to sell these delinquent loans off in an effort to avert these inconveniences.